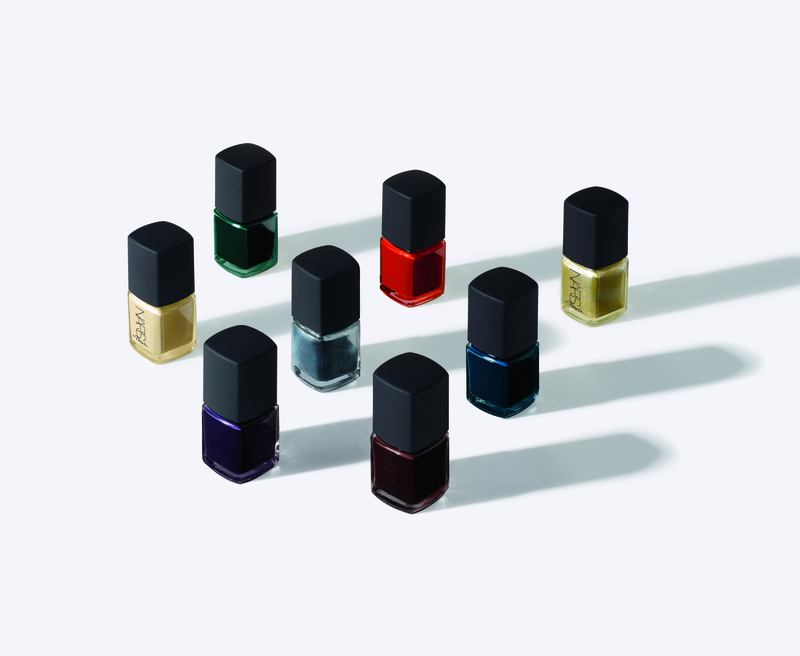 Beauty junkies everywhere have been anticipating the much-awaited NARS x 3.1 Phillip Lim nail polish collection for a long time, and now that we’ve received images of the line, it was well worth the wait. Back in February while backstage at New York Fashion Week, we learned about the collaboration that would be coming this summer. With 14 years of collaboration under their belts, it was about time for NARS and Phillip Lim to make a collection together. Now, available July 15, that collection is just about here, and we got a sneak preview. Made up of nine limited-edition polish shades inspired by “colors that live in the shadows,” the fall collection will sell for $20 per polish, and the canvas pochette accompanying the collection will retail for $80. From a dark denim and a black sea green to a graphite grey and black bronze, the shimmering metallic colors in the collection are begging to be our new favorite fall nail polish. They’re available beginning July 15 at NARScosmetics.com and NARS boutiques, and August 1 at Sephora and other specialty stores — set your calendar alerts now, ladies!